You’re invited to the 8th annual Stems & Legs! The event will take place Saturday, March 24, 2018 from 7:00 p.m. until 10:00 p.m. Stems & Legs is a fundraising event that brings our community together in an appreciation of fine wine paired with a setting of equally fine craft. Come join us for an elegant evening of tasting and learning about 15 wines from around the world. 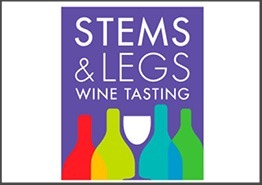 Stems & Legs is the perfect occasion to get out of the house and enjoy a night of fine wine! Stems & Legs takes place in The Loft at Cape Breton Centre for Craft & Design. Tickets are $50 and they are available by calling or dropping into the Centre, or online at: stemsandlegs2018.eventbrite.ca. All funds raised from the event are in support of the Centre’s programs and services. Visit our Facebook page, Cape Breton Centre for Craft & Design, Twitter and Instagram page, @CapeBretonCraft, for Stems & Legs updates.